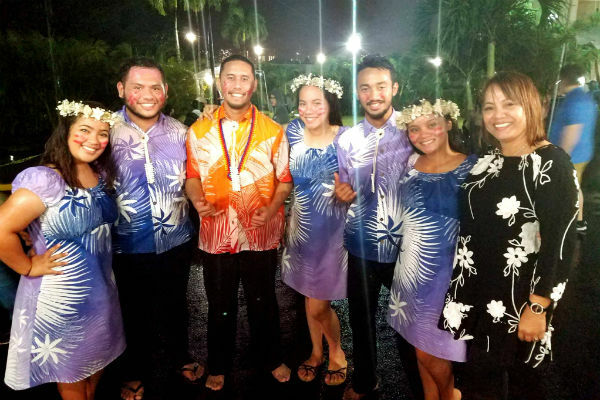 The Marshall Islands group is a combination of members / leaders from the Marshall Islands Visitor’s Authority, Tobolar Copra Authority, RMI Women Handicraft Association and Marshall Islands Service Corporation. The group will showcase traditional dance and sell local handiworks at the Honolulu Festival. Performers are marshalles students at Chaminade University of Honolulu. Kommool tata (Thank you Very Much).